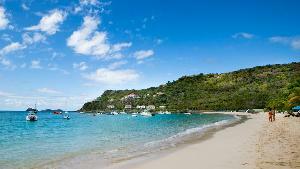 Prize: Airfare for 2 to St. Barts Island, and put up at Hotel Taiwana for 8 nights. Package also includes a VIP welcome with champagne, two private hoverboard lessons, two ATV rentals for a full day, a half-day deep sea fishing experience ($8,600). Statistics: This contest was opened by 150 and entered by 20 ContestChest.com members. 13% of those who opened the contest, entered it.